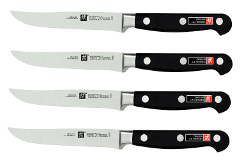 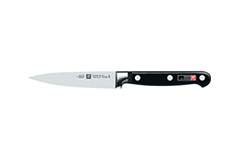 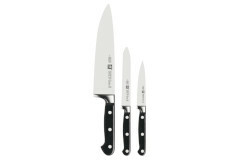 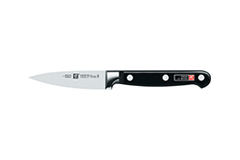 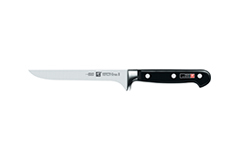 Professional "S" knives are made in Germany using a special formula of high carbon no stain steel. 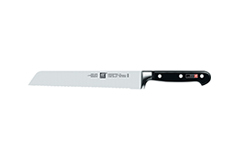 What makes Pro "S" different from other Zwilling lines is a SIGMAFORGE® one piece forged blade and FRIODUR® ice-hardened blade which keeps the knife edge sharper for a longer period of time. 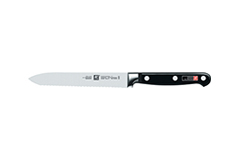 All Pro "S" knife blades are hand sharpened, polished and laser edged.